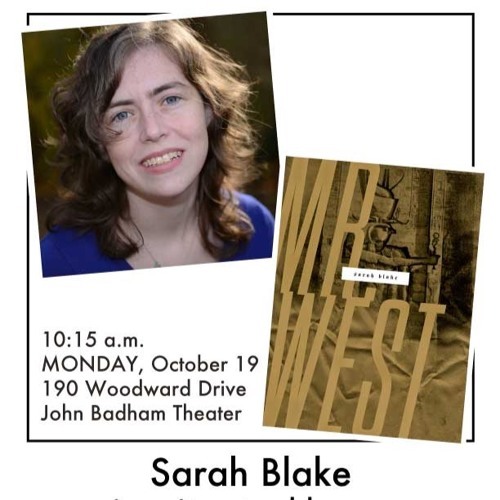 Sarah Blake reads from Mr. West at Indian Springs School Visiting Writers Series Sarah Blake is the author of Mr. West, an unauthorized lyric biography of Kanye West, out with Wesleyan University Press. Named After Death, her chapbook, is forthcoming from Banango Editions. She was awarded an NEA Literature Fellowship for poetry in 2013. She is Editor at Saturnalia Books and co-founder of Submittrs. She lives outside of Philadelphia with her husband and son.